PokerNews Op-Ed: What Happened To Poker? I haven't always loved poker. Heck, I barely knew what the game was until I got a call from a good friend of mine while I was in college several years ago. He told me about this new game he and the guys came across: no-limit hold'em. He told me about how he and the guys had been watching episodes of the World Series of Poker on television, how fun the game looked and how much he wanted us to start playing. While flying home recently after a long stint covering the WSOP Europe and the European Poker Tour Sanremo, a very interesting question came to me: What happened to poker? There was a media tournament at EPT Sanremo, but I couldn't help but ponder how lame it was that our group of media members were constantly being told we have to quiet down because there was an event — the $2,000 No-Limit Hold'em side event — going on a few rows of tables over. I remember sitting there, not being particularly loud myself, but watching my colleagues have some drinks and enjoy their time away from the grind. We were all having a great time; plenty of laughs were had and celebrations occurred after just about every hand. When told we had to quiet down because of the other event running, I looked over at them and thought to myself, "Wow, no one over there looks like they are having fun." At the root of it all, I couldn't help but wonder where all the fun in poker has gone over the years. Isn't poker supposed to be fun? Do you remember in 2006 when Bryan Micon did the Thriller dance while all in during the WSOP Main Event? How about Marcel Luske breaking into song during a hand in the 2004 WSOP Main Event? Or what speaks to my point the best, Steve Dannenmann's lackadaisical attitude and No. 1 rule on his notes during the 2005 WSOP Main Event final table — the largest stage in poker? What I'm getting at here is that poker no longer seems to be fun. It's not as fun for the players, it's not as fun for the media, and it's not as fun for the fans. The latter of that trio is the most important part and something that needs attention. Fans are what drive poker and the industry. Without fans, who are Daniel Negreanu, Phil Ivey and Phil Hellmuth? Certainly not everybody's favorite “kid,” the Michael Jordan of the game, or the "poker brat." Would Doyle Brunson still be the Godfather? Would Mike Matusow still have a "mouth"? The fans drive the game, and they also bring new money into the game. Over the past few years, the poker industry as a whole has been at a standstill. It's extremely stale. There aren't hoards of new players flocking to the game, and in my opinion, that's simply because it's not seen as “fun” to them anymore. There are a lot of reasons for this, and most of them can be dealt with and changed for the better of the game. Televised poker has turned to a more analytical style, instead of the old entertainment style we used to see. 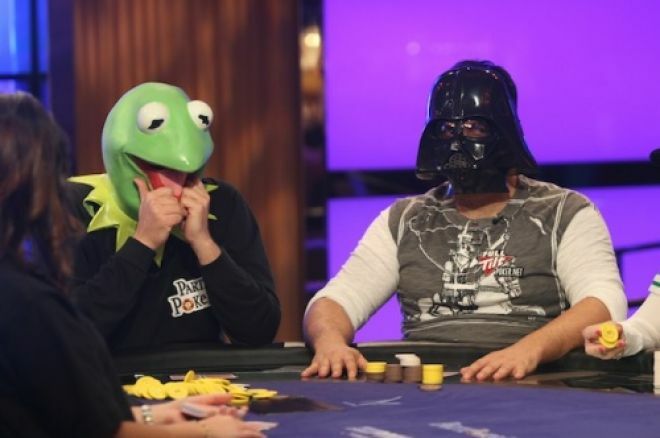 I'd argue that when it comes to poker on TV, people want to be entertained. The common fan — the person we're trying to draw into the industry as "new money" — doesn't care about three- and four-bets, ranges, merging, floating, or fold equity. They don't talk in terms of big blinds or know ICM, and they are generally playing for fun. They'd much rather see Phil Hellmuth and Beth Shak dancing around the table while Brett Richey contemplates what to do with two kings than know the three-bet percentage of someone from the cutoff seat. It's called attraction, and that's what poker needs. Then you've got the players themselves, and you all know who I'm talking about. I'm looking at the ones hiding under the hooded sweatshirts, behind the sunglasses or beneath the tightly pulled down baseball caps. These guys make up the majority of what we see on TV nowadays and, to put it as simply as possible, it's dull. Where's the personality? You could stick a few cardboard cutouts around a televised table and have more personality than a lot of these players. Poker needs more personalities like Phil Laak and Jean-Robert Bellande; it needs more of Tony G berating the Russians; and it definitely could use some more table talk, smooth chip tricks, and magic from Antonio Esfandiari. When a poker fan turns on the TV and sees a bunch of 20-somethings not saying a word or barely moving a muscle, they're turned off. They don't want to head to their local card room to mimic their idols, and they certainly don't want to put aside some extra cash to travel out to Las Vegas in the heat of the summer chasing their dream. Furthermore, who wants to go and play with poker's new generation? I certainly don't, and everyone I've talked to that's a common fan of the game seems to share similar sentiments. Many people are scared to get their feet wet by dabbling into poker because of how serious and analytical the game has become. The spectacle they once enjoyed, and the one that once attracted hundreds and thousands of new players to the WSOP every year, is gone. It also doesn't help that this new generation of players often talks down on someone for playing a hand "incorrectly" or rambles off the stats on how badly someone has performed. Prior to the early 2000s, being a poker player was widely shunned. Then, Chris Moneymaker burst onto the scene, and everything changed. It was suddenly “cool” to be a poker player. For the past couple of years, I've asked myself more and more, "Is it even cool to be a poker player anymore?" Honestly, I just don't know about the direction of the game anymore, which is mostly guided by the way it's being pushed on TV. Don't get me wrong, there will always be diehards of the game who want to see all the stats and listen to pros analyzing hands — I'm one of them. A true diehard of the game, though, is someone who wants to constantly do what's best for the advancement of the game. Live streams, podcasts, articles or featured TV segments seem like a better way go for the more analytical approach to the game, but the regular shows aired to millions of viewers around the world need to stick to what entertains. Bring back the ranting of Hellmuth, the barking of Ted Bort, the bulldozing from Hevad Khan and Kenny Tran's sick calls. In the end, it's those characters and that entertainment that are best for poker. The diehards will always dig and find the things they need to feed their appetite, but I'm afraid we're shutting out the common fan too much from falling in love, or staying in love, with the game.